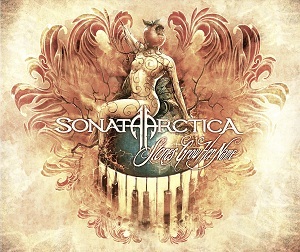 The new SONATA ARCTICA record will be called "Stones Grow Her Name", and will be released on May, 18th. It was recorded in several studios all over Finland, mixed at „Sonic Pump Studios“ by Mikko Karmila and mastered at „Chartmakers“ by Svante Forsbäck. The album will be released as limited edition digipak, standard jewel case, vinyl and download.